Let us take you on a fantastic private tour of Florence, a walking tour of Florence with a tour of Accademia museum with one of our expert Florence tour guides. This Florence private tour also takes you on a guided tour of the Accademia museum to see Michelangelo’s statue of David. 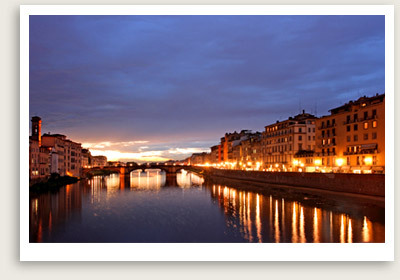 Florence Private Tours Include: Our Florence private tours include licensed Florence tour guide, tickets and reservation fees to Accademia museum. 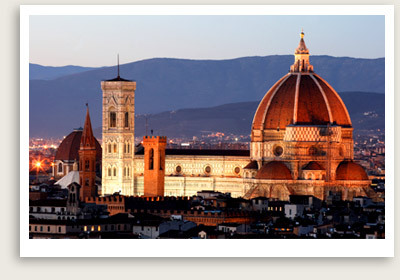 Enjoy a private tour of Florence, the birthplace of the Renaissance, with our expert, private Florence tour guides. In your Florence private tour, you will hear about the amazing history of this 2,000-year-old city and see some of the world’s greatest art and architecture on this tour. Our excellent licensed Florence tour guide with expert knowledge will present a fantastic tour of Florence’s history, art and architecture. You will get a glimpse of the famous art works at the Duomo (Cathedral) as well as Brunelleschi’s Dome, while you will also visit such famous landmarks as the Baptistry’s Gate s of Paradise, Bell Tower, Ponte Vecchio, Vasari’s Corridor and Medieval towers. You’ll hear about the history of Florence and its famous rulers and artists, as we stroll by Renaissance palaces, beautiful piazzas, markets and famous shopping streets. This private tour of Florence will also take you to visit the Galleria dell’ Accademia museum, home to some of Michelangelo’s amazing works, including the Statue of David. The museum’s collection also includes many gems from the Florentine Gothic, Baroque and Renaissance periods.